When cycling long distances, or just popping over town to the office, its important to travel light. Less weight, less effort – that's our philosophy. But if your bike comes a cropper far from the nearest cycle repair shop, and you're in dire need of a repair, what are you to do? No worries there, because you've already bought, and carry around, the multi-tool awesomeness that is The Nutter from Full Windsor. 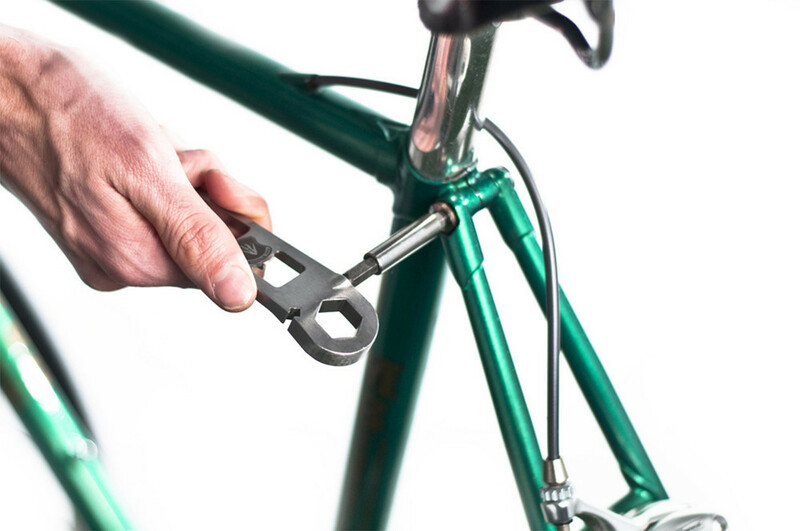 The Nutter is an all-in-one bicycle tool that incorporates many repair necessities (and one not so necessary) into one small package. 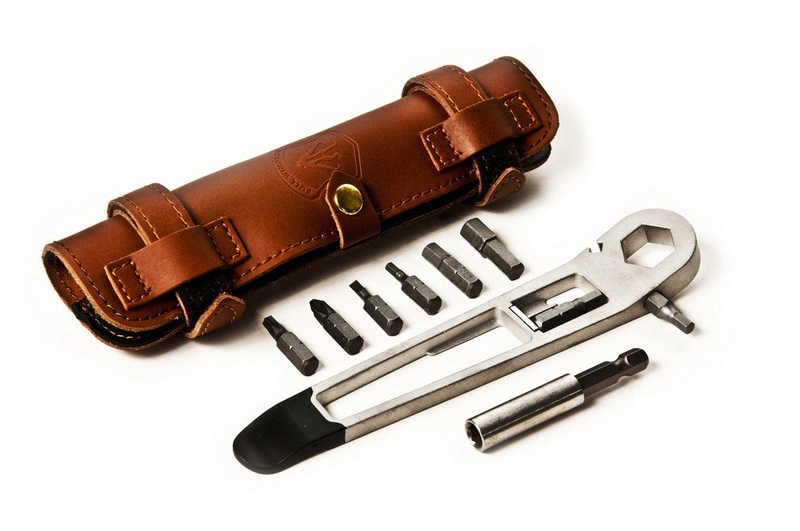 The kit itself comes in a leather fold-out carry pouch that features a press stud close and velcro straps to both wind it up nice and tight, and also safely secure it to your actual bike. Inside you'll find The Nutter itself; resplendent in matte-finish steel, it's a handy looking tool with bites taken out of it in strategic places. Included along with the multi-tool itself is an array of parts to help you tackle any job you might need sorting while out on the road. 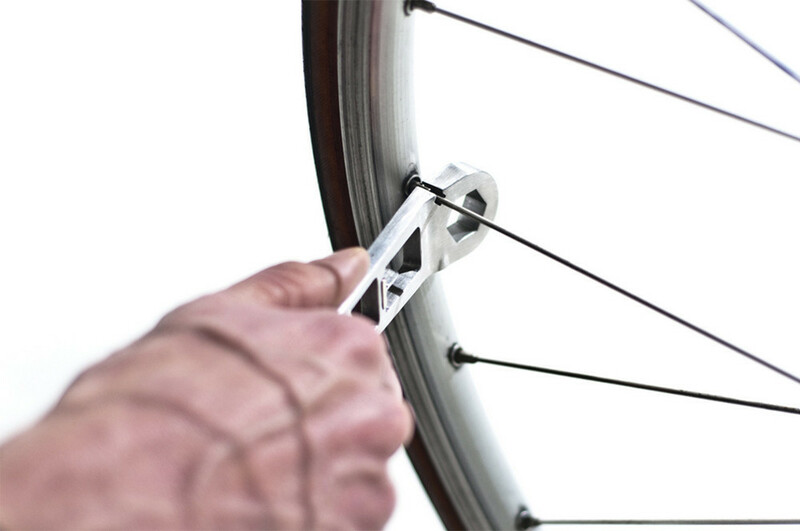 First up, the thin end of the Nutter is a nylon tyre lever to get your rubber off your rims (tee hee). Then there's a 15mm box head spanner, a very useful spoke key, a Philips head screwdriver bit, a flat head screwdriver bit, a T25 torx bit, and 3, 4, 5, 6, and 8mm hex tool bits. All of these can be extended from the body of the tool with the magnetic tool bit extender, allowing you to get further in to the nooks and crannies. And (and this is the one that is not so necessary, but oh so welcome) The Nutter also features a bottle opener. All the parts are robustly made and seem like they'll last a lifetime. The Nutter itself could probably withstand a nuclear blast, as we gave it a right going over, and even tried to bend it. It wouldn't flex an inch, which is extremely reassuring when tackling those studdon nuts that just refuse to give. The leather pouch is also very well put together, with a choice of either brown or black leather exterior, and interior pockets being made from recycled inner tubes. Nice touch, that. It is also extremely handy to have the velcro straps, allowing you to both wrap it to your frame or seat, and also to stow something small like a compact pump or another tool along with it. This is a superbly made and well thought-out tool that would benefit both pro and beginner cyclists. Hats off here, boys.